The Martha Meade Society Program sponsored by Sperry Flour was a 1930s cooking radio program with great cooking tips you won't want to miss! We are treated to a history of the apple growing industry in the Wenatchee Valley of Washington State, a Wheathearts Veal Loaf from Walla Walla, WA, Martha will teach us to make Doughnuts for Halloween, and discuss life in India while teaching us to make chicken curry. Of course, we will be reminded to always use Sperry Drifted Snow Flour! 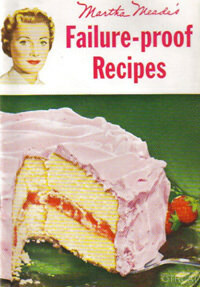 See also: Betty Crocker. See also: The Mary Lee Program sponsored by PET milk and The Baker's Theater of Stars sponsored by Baker's of America. 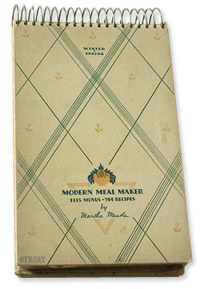 This collection is also part of the Cooking in Old Time Radio Collection. Martha Mead in real life was my mother Jean Peter Scott. She wrote the program and did all the acting. My mother was never a homemaker. It was all acting. Listening to it makes me laugh!